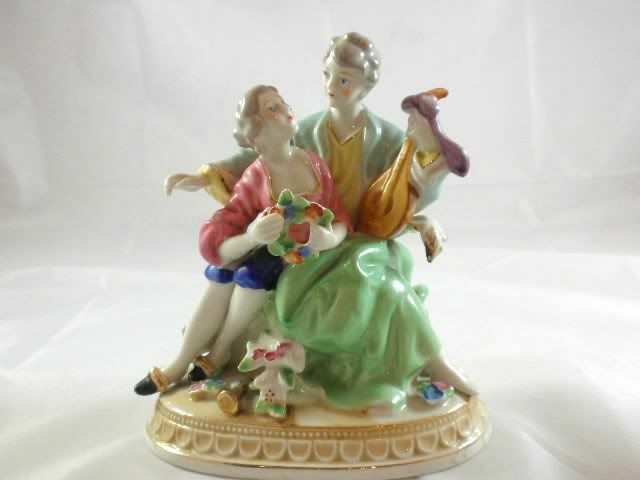 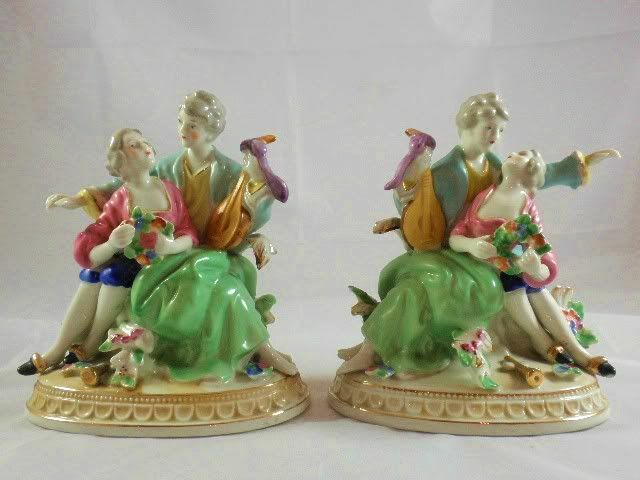 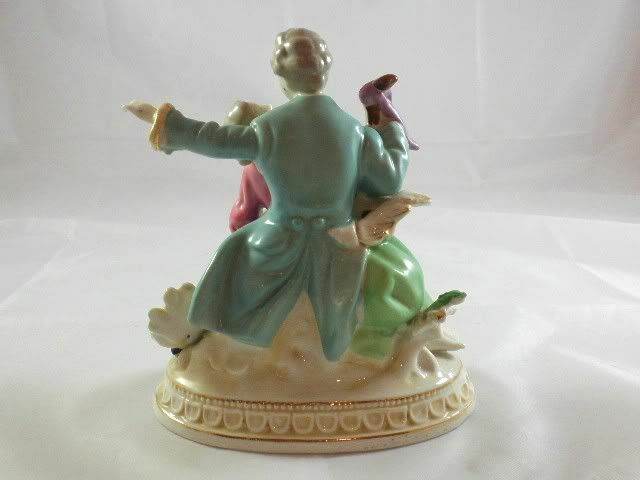 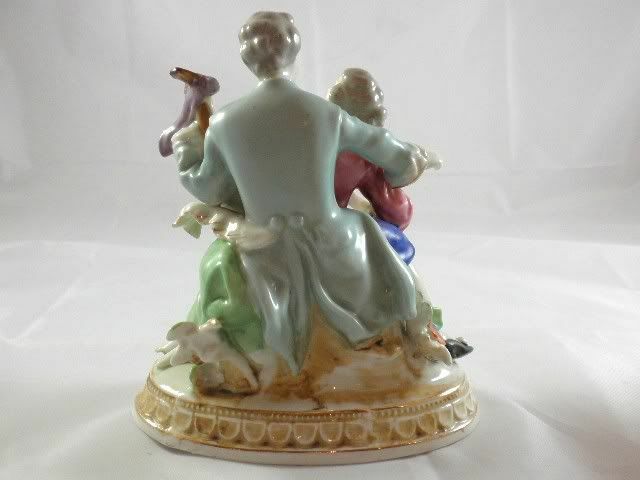 Pair of vintage porcelain courting figurines. 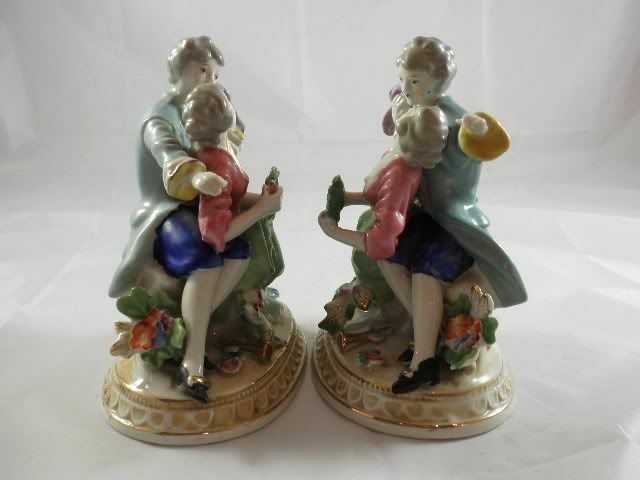 The pair stand 6.5" tall with an oval diameter of 5.5 x 3 3/4". 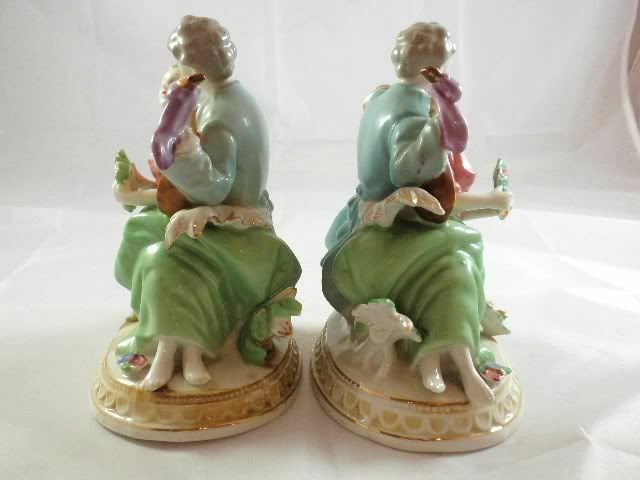 The pair are in imaculate condition with no loss or damage to note. 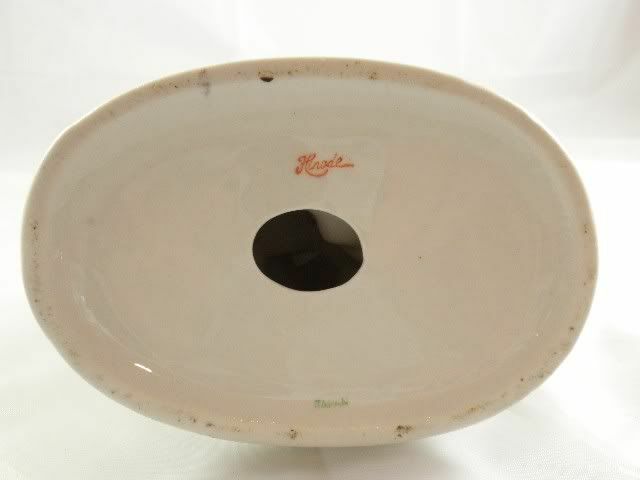 The bases are marked Hinade and Japan. 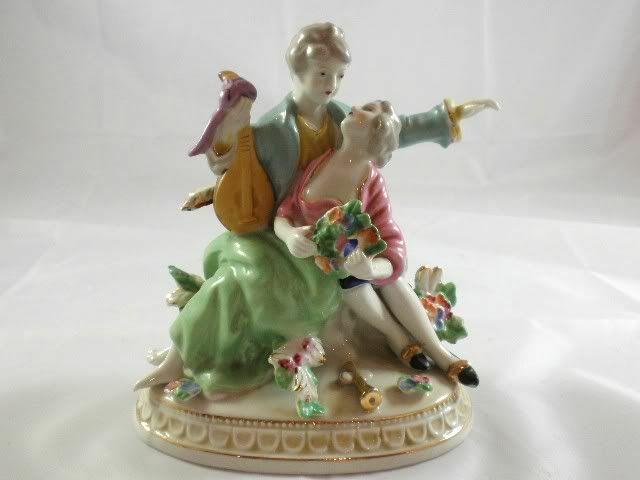 We date the pair to the 1930's.